Deep Prize Pool Pays All the Way Down To 550th Place! Not in the Championship Round? Not to worry! 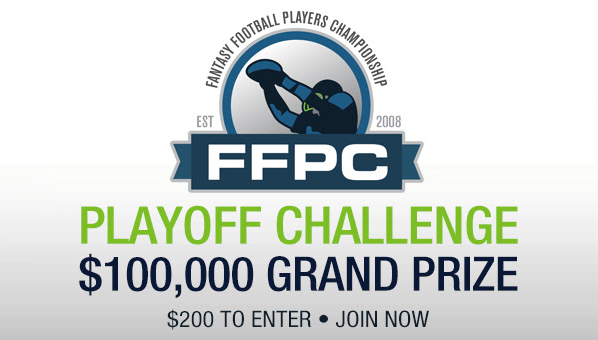 Registrations are live for the 2017-18 World Famous FFPC Playoff Challenge. Don’t forget that you’ll be able to apply your regular season winnings in your account right now to the Playoff Challenge as well. NEW THIS YEAR: We’ve added more than $120,000 to the prize pool and will pay out an additional 150 more places than we did last season! Any #3 or #4 seed that wins its league championship game will advance to the FFPC/FPC Championship Round in weeks 14-6. All #1 and #2 seeds have already qualified for the Championship Round that begins in Week 14. This is the final week of waivers for all playoff teams in both the FFPC Main Event and Footballguys Players Championship. Spend those dollars. You can’t take them with you. All playoff teams that do not make the Championship Round will go to the Consolation Round. Remember to continue to manage your teams and set lineups through Week 16. Jannet Thomas-Dodds normally wears her grandmother hat in her day-to-day life, but right now she is wearing the hat of the second place team overall in the 2017 Footballguys Players Championship. She joins David A. Gerczak and me to talk about how she put this team together, what she thinks about Josh Gordon the rest of the way and how she was able to go 4-for-4 in her FPC semifinals last week. Plus we’ll take a look at the championship matchups in the 2017 Fantasy Football Players Championship Main Event and much more! Headlining this week’s edition of Rotoviz Radio‘s The High-Stakes Lowdown podcast is Mike Foresta, a career winner of more than $10,000 in the FFPC and owner of a top-40 team in this year’s FPC and a top-100 team in the Main Event. In the episode, we discuss how he was able to manage his Footballguys team nearly to the top even after picking David Johnson at 1.01, Kenyan Drake’s Week 13 role and who is 2018 #1 tight end is. 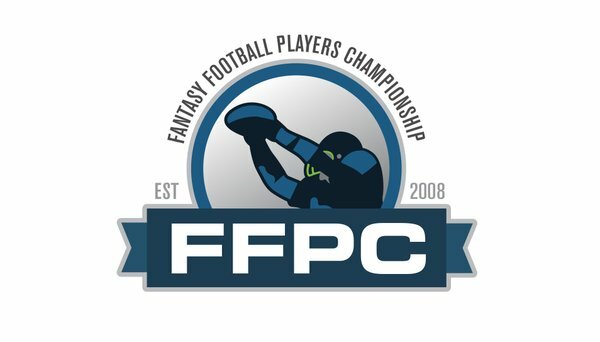 Plus 2016 FFPC Main Event co-champ David Hubbard dishes on Martavis Bryant and JuJu Smith-Schuster and his advice for new players in the Championship Round for the first time. The latest update over in the Terminator Tournament has Peter Buckwalter’s BullRuns holding a 33.5-point lead over Biplab Mandal’s Captain Underpants squad. 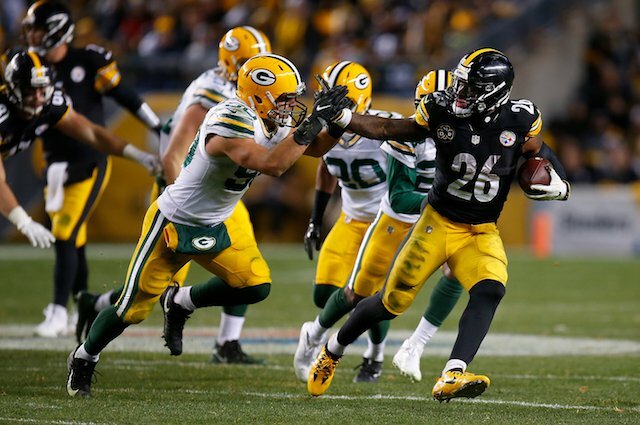 Buckwalter’s tandem of Le’Veon Bell (30.3) and Josh McCown (30.15) helped him to a 170.25 Week 12 score. Following Mandal in the standings is Howard Kaplan’s Dazed and Confused, which trails Mandal’s entry by 22.2 points. 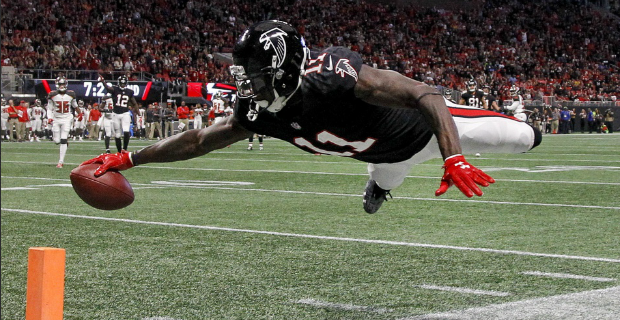 Each owner in this 204-team tourney is forced to cut one player each week until Week 16 when they will be left with 10 players in their final starting lineup of the season. The overall winner will cash a $10,000 first place prize. As another short reminder, the four playoff teams in each league will have an opportunity to bid on players both Wednesday and Friday again this week for the last time this season. After that, the waiver wire will lock until 2018. Bids will be processed and awarded at the normal time of 10 p.m. ET both Wednesday and Friday of this week. Time to empty out those FAAB budgets, all! 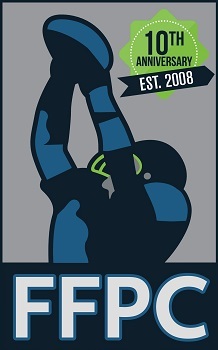 The FFPC and FPC utilize Sportradar, the official stats provider for the NFL. This includes all stat changes that could be announced and finalized as late as Friday. So if you were involved in a close head-to-head match-up in your league semi-final game this past weekend, please remember that the results will not be final until Friday because of potential stat changes that could impact those match-ups. Make sure you set your lineup just in case! Good luck in your league championship games, players! Then prepare yourselves for the most fun three weeks of the season beginning the week after! I’ll see you in the chat room Friday night!